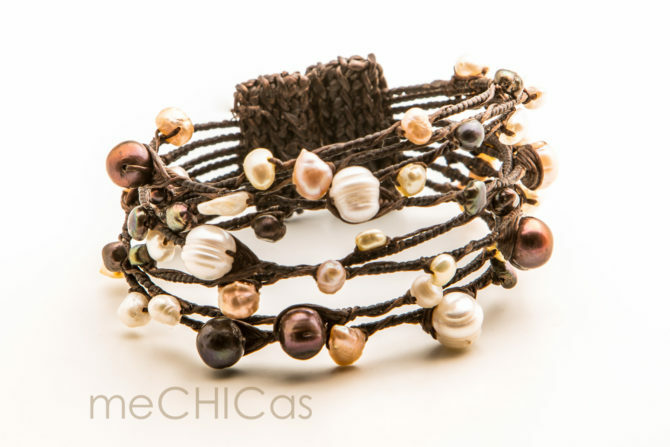 Categories: all bracelets, el dorado • bracelet, meCHICas collection, meCHICas • bracelet. 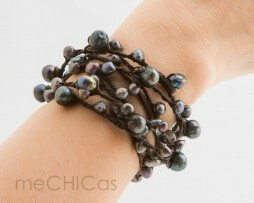 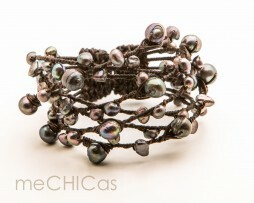 Tag: pearl clamb bracelet. 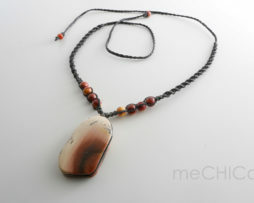 The pendant is made ​​of rainbow obsidian with a green glow from Mexico. 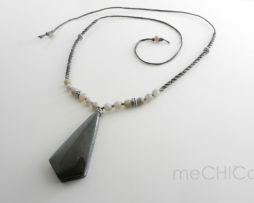 Obsidian is a volcanic stone. 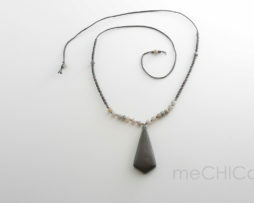 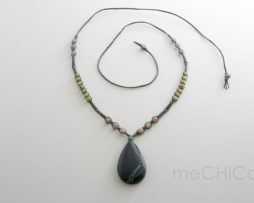 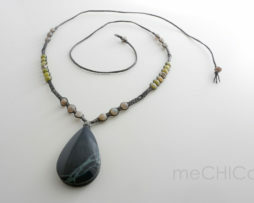 The pendant is combined with stones of labradorite. 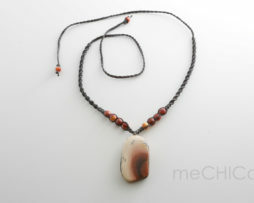 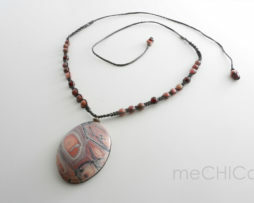 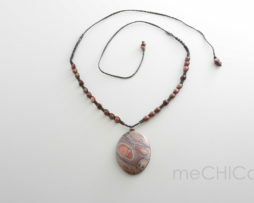 The pendant is made ​​of imperial jasper from Mexico, and is combined with stones of mookaite. 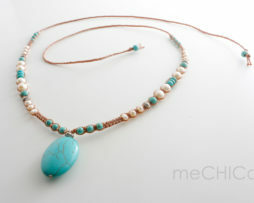 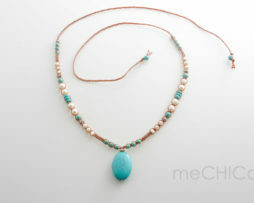 The pendant is made ​​of turquoise, and is combined with stones of turquoise howlite and white pearls.